Policy announcements included further details of plans for employee ownership and representation on company boards, ideas which John McDonnell thanked the Co-operative Party for their role in developing. For co-operators, the Shadow Chancellor’s call for greater democratic control by employees over the firms they work for, as well as democratic public ownership of key utilities, present obvious opportunities for fulfilling our ambition of doubling the size of the co-operative sector. The objective for the months ahead will be working to outline in more detail what a ‘democratic economy’ could look like, and the policies needed to make it happen. Where parents and staff want to go further in launching and leading their own schools, our own movement already has an answer: co-operative schools – as part of the local schools family. Leading education magazine TES called the announcement the ‘most eye-catching’ of the speech. It’s hugely welcome to see the Labour frontbench team beginning to look at how the Party’s wider commitment to expanding the co-operative sector can be implemented across a range of sectors and individual departmental briefs, including education. With over 5 million people now living in councils that have implemented the Co-operative Party Charter Against Modern Slavery, a highlight of Conference was seeing that work recognised on the Conference floor. Local Government Officer Emma Hoddinott and Cllr Nick Crofts, President of the Co-op’s National Membership Council, were there on Sunday to receive the Del Singh Memorial Award, which recognises stand-out campaigning work by Labour-affiliated organisations. The Award is a fantastic recognition of work both by the Party and by dozens of Labour & Co-operative councillors across the country who have been leading the way by signing the Charter. The Party’s month of action on modern slavery continues into October, so if you haven’t yet got involved, you can do so here. Since being launched in 2014, with Midcounties Co-operative and the Phone Co-op as founding members, the Fair Tax Mark has gone from strength to strength, with the Co-operative Party becoming the first political party to be given a clean bill of health for our own tax affairs in 2016. This year’s Labour conference proved how much the Mark has moved into the mainstream, fast becoming the standard against which businesses are measured on tax. John McDonnell’s speech included plans to bring together institutional investors, including churches, trade unions and pension funds to launch a shareholder campaign to put pressure on companies that avoid tax. Their key demand? Signing up to the Fair Tax Mark. Across all of these individual highlights, there was a wider sense that the Party’s profile, and interest in our ideas, are greater than ever. Fringe events ranging from modern slavery to self-employment show the range of policy areas and debates in which the Party is engaged, and the appetite for co-operative ideas across them. At the Co-operative Party exhibition stand, those passing are increasingly familiar with he Party, understand how we fit into the wider labour and co-operative movements, and are there to pick up a membership form or to find out how to get involved in our work. 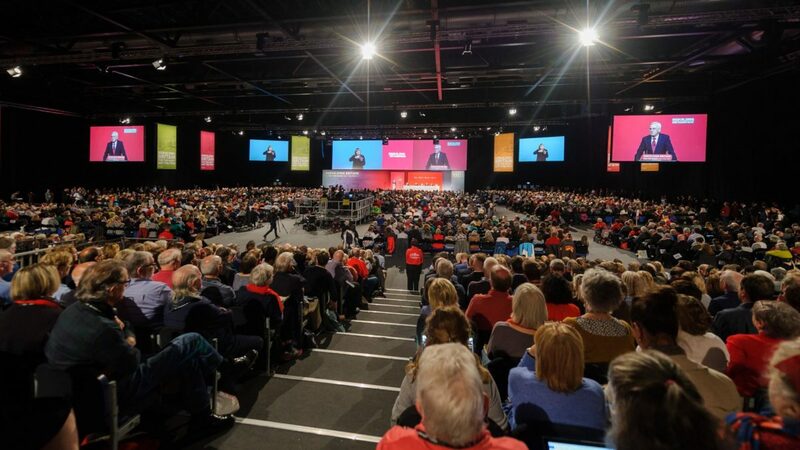 While conference season may be winding down for our Labour colleagues, for the Co-operative Party, of course, attention now shifts to our own Conference in Bristol in just a few weeks’ time. Titled ‘Unleashed’, the focus on this year’s Conference will be how we can build on the ideas, growing membership and ambition of our Party, and mobilise them to put co-operatives right at the heart of plans for a new kind of economy.